St. Ann's Color Guard 2009 Champs St Annâ€™s Colorguard has won the Eastern Mass. Circuit championship. The competition - held on March 28 - was filled with excellent guards that pushed St. Annâ€™s to bring out their best work in order to win. This win didnâ€™t happen over night, according to organizers. The Neponset-based colorguard group includes the Cadet Class and B Class teams which practice every Monday and Friday night from September all the way up until the day of finals. The teams learn choreographed routines with flags, rifles, and sabres and dance to music then incorporate all this for competitive performances against other Guards within Massachusetts. 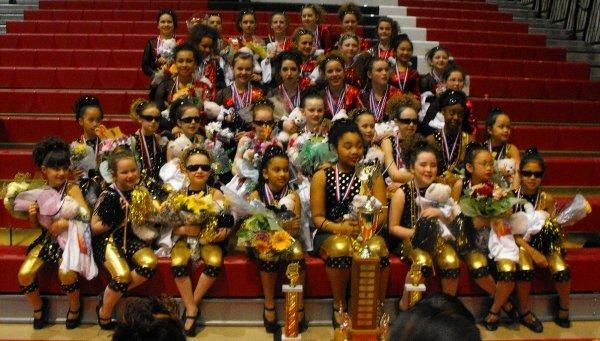 Congratulations to St. Annâ€™s and all of the guards that competed in this 2009 season. Watch for more on the St. Ann's program in this week's Reporter.